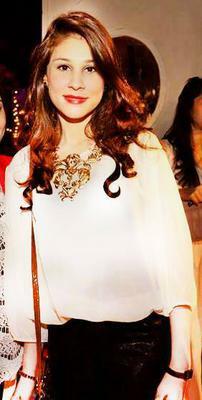 My name is Madiha Malik and I am from Karachi, Pakistan. I study at SZABIST (and this is to be my last semester). I started my event management business by the name of Sparkling Celebrations last year in May 2014. It has been now almost 1 year that I have been running my venture, powering it with passion and love. My vision for the business was to become a successful event planner, with my one and only goal being complete satisfaction of customer needs and wants. My biggest achievement up till now has been my first successful event, which was my nephew’s 4th birthday and after that I was able to bag two consecutive orders from a third party (Real challenge, Real customers). This was an achievement for me because the people, who choose me to be their event planner, did so only because they were impressed by my work and I subsequently started getting new orders. This also made me realize that in event management the best way to enter into the market is through your social circle and it is nothing but the word of mouth that will get you through from one order to another. I recently did one Paris themed and one superheroes’ themed birthday party and my current project is a Tiffany and Co. themed bridal shower, which is in the last week of July. In the near future I would be more focused upon organizing bigger, better and grander events, such as, weddings. In a wedding organization there is a lot of competition in Pakistan, but also a lot of scope which can be utilized for expanding my business operations. The biggest challenge is that it is not like a walk in the park – especially in this business. Nobody can risk their special days being ruined and therefore people will contact only after a thorough research. A good event planner must have all the patience in the world, without this virtue survival will be very difficult, almost impossible. Also there is a risk factor because you have to rely on others such as printers and other vendors and you have to run after them to get your work done, on time and just as you need it to be. Another challenge that is faced by almost every other event planner is that he/she needs to be skilled at labor/human management because this is the main task and if someone is not capable of this, then event management business will not flourish as the labor is quite difficult to handle. Furthermore, I would like to thank my parents, sister and my fiancé because they have supported me throughout this journey and thanks to you, MizLink for approaching me! Dear Ms.Malik this nation and it's citizens are proud that women are entering in different fields. We personally pray for your success and keep it up.